Successful managers understand that they must adapt their leadership style to the situation at hand. 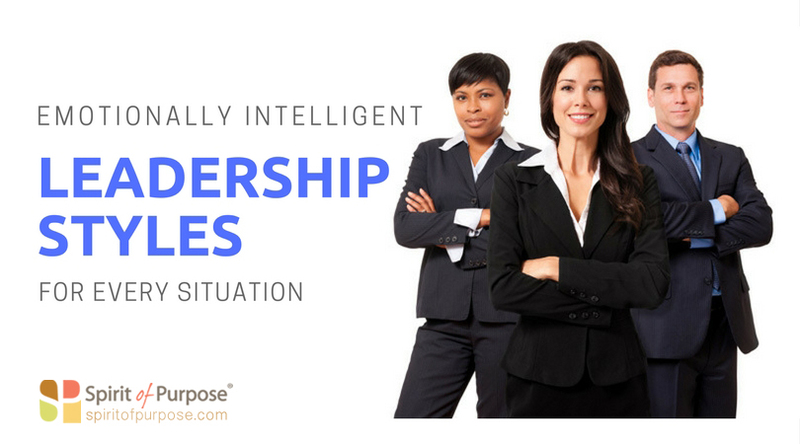 In their book, Primal Leadership, Daniel Goleman, and his coauthors identify six effective and emotionally intelligent ways to lead. The Affiliative Leader puts people first, focuses on harmony and emotional connection, and encourages inclusion. Use this style when your team is embroiled in conflict, trust has been broken or they’re experiencing an unusually stressful period. To develop the Affiliative leader in you, learn how to manage your team’s emotions, resolve conflict, and communicate optimism. The Democratic leader encourages collaborative problem solving and decision-making. They seek input from everyone and rely on listening rather than directing. Use this style when you’re trying to get buy-in and build consensus. As necessary, strengthen your active listening skills. The Visionary Leader inspires his or her team to reach goals, without dictating how. This style is helpful when new vision or direction is needed. To develop this style, increase your own expertise in leading change, and strengthen your ability to articulate a vision that excites & energizes your team. The Coaching Leader uses a “try this” approach to connect a team member’s personal goals and values to organizational goals. This style is helpful when developing people for the future. It involves having conversations about the employee’s long-term plans, rather than focusing specific work requirements. The coaching style requires you to get to know each person, and skillfully provide guidance and support. The Pacesetting Leader focuses on performance and achieving goals. This style works well when you need to drive an already motivated team to deliver high-quality results quickly. To successfully employ this style, consider training that will enhance your coaching and motivational skills. The Commanding Leader uses the traditional “do what I say” approach. This autocratic style is no longer the go-to, nor should it be used consistently. Rely on it when there’s a crisis or a urgent problem. To selectively deploy this style, improve your ability to manage crisis and think on your feet. The best commanding leaders are decisive under pressure. ← VIDEO: What Triggers You?